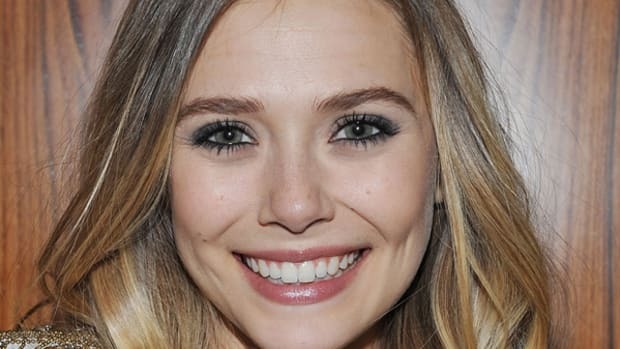 What&apos;s the secret to creating volume and lift in hair that wants to lie sad and flat? Sad face, because there&apos;s not much volume happening here. I think achieving amazing volume comes down to two things. Ready for &apos;em? Using the right products, and in the right order. BOOM! Lemme explain. First of all, fine-haired people probably shouldn&apos;t be buying generalist styling products that cater to a range of different hair types. 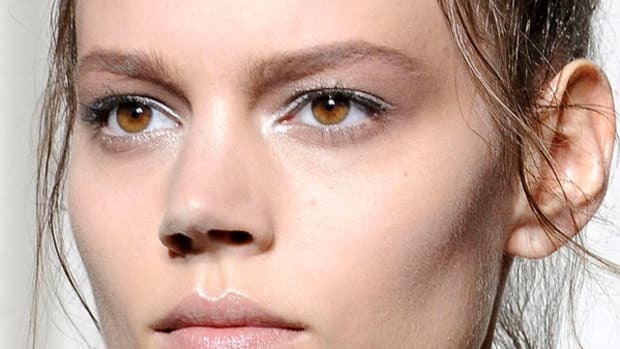 Even if they list volume as one of the benefits, these products are almost always going to be too moisturizing for us, and could actually backfire, weighing our hair down. Instead, look for stylers that are specifically formulated for fine, flat hair—such as the ones in John Frieda®&apos;s Luxurious Volume range. The company&apos;s scientists "torture-tested" them on fine hair to ensure they could build natural fullness, while still keeping hair bouncy, touchable and soft. 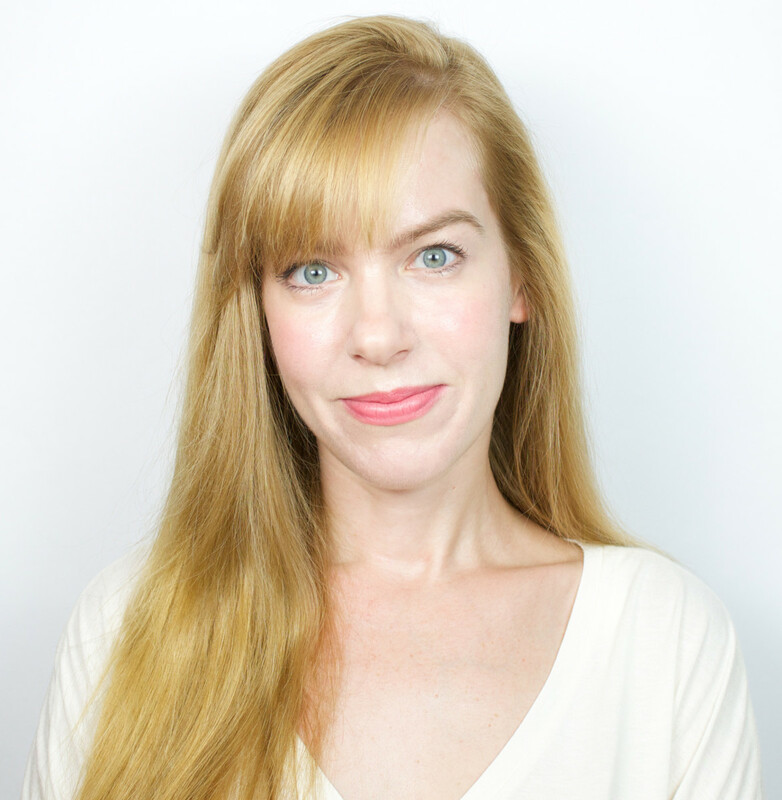 I&apos;ve been using the four products since the summertime, and they&apos;re all super-airy and lightweight. 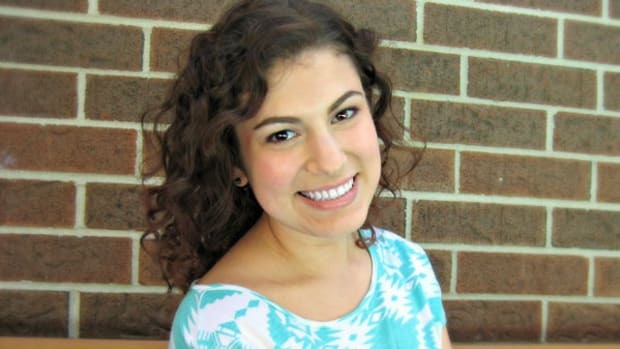 The second secret is really knowing how to use your styling products properly. And notice I said products, plural. To get your best results, you want to apply a combination of different stylers, and layer them through your hair to build volume. The first step is to mist a volumizing blow-out spray through damp, towel-dried hair. This goes on from roots to tips to create all-over fullness. 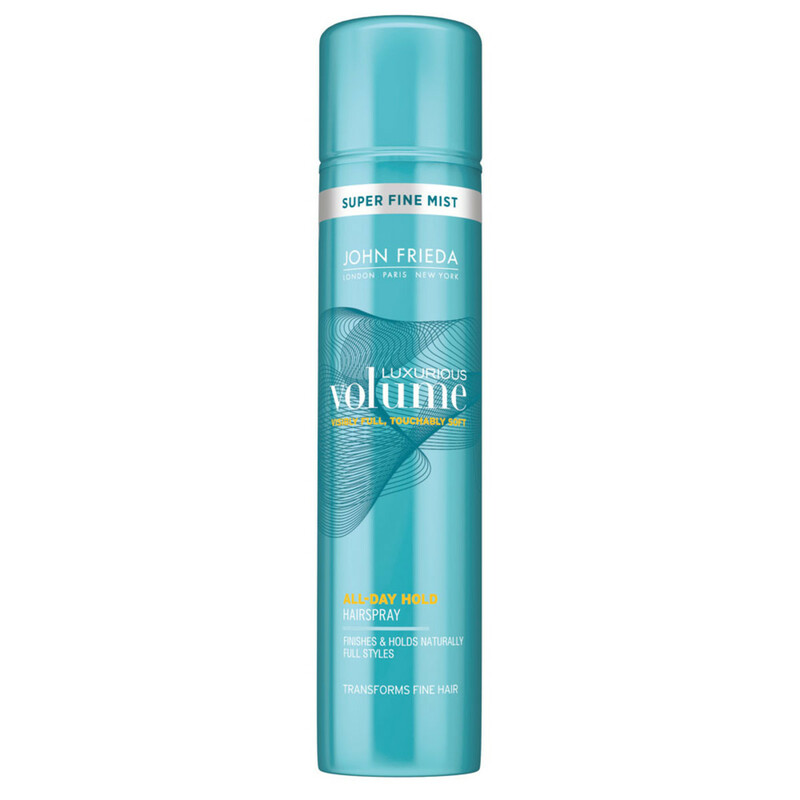 John Frieda® Luxurious Volume Fine to Full Blow-Out Spray is formulated with a proprietary blend of polymers that rinses clean, so you don’t have to worry about build-up. During blow dry, the specialized technology is activated by the heat of the blow-dryer. Honestly, this product does not weigh your hair down; you don&apos;t even feel it. I recommend combing this through after you apply it, to ensure even distribution. You can also mist some onto nearly-dry hair for even more volume. Step two is a volume-building mousse. 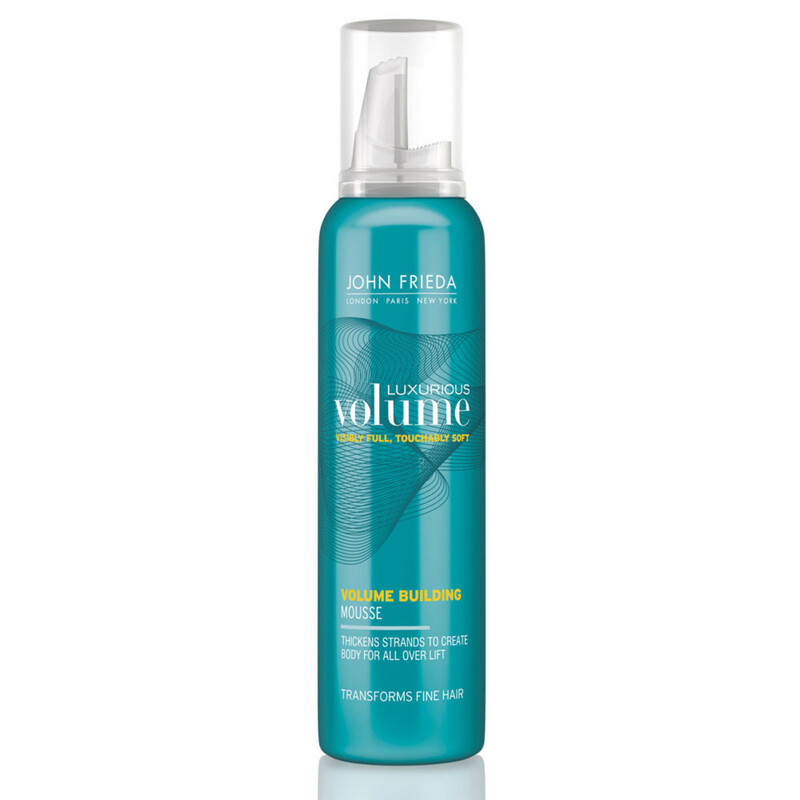 John Frieda® Luxurious Volume Volume Building Mousse contains polymer blends that actually wrap around your hair strands to increase their diameter—pretty amazing! One of the questions I get asked a lot is where mousse is supposed to go. I recommend an egg-sized amount, rubbed between your palms to break it up, and then finger-combed through damp hair starting from the roots. Once you get all the mousse from your hands into your hair, use an actual comb to spread it evenly from roots to tips. Besides creating volume, this mousse will really help your style to hold, while leaving your hair feeling soft (never heavy, crispy or crunchy). Unlike the blow-out spray and the volume-building mousse, which get applied all the way down the hair strands, your root booster goes at the root area only (as the name implies, obvi). The goal: getting awesome lift at the crown, which can make a huge difference to your style. 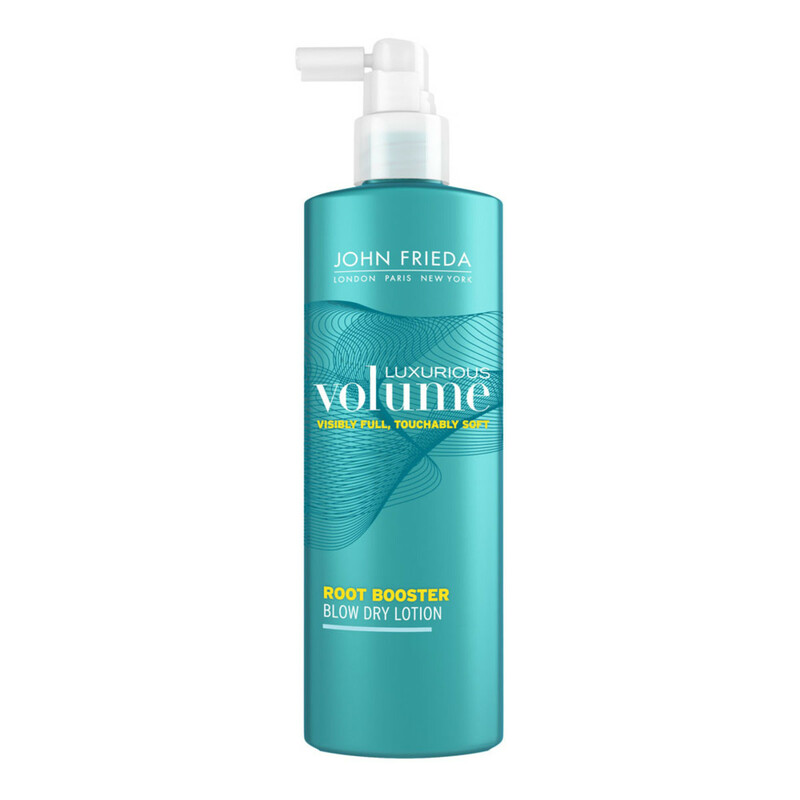 John Frieda® Luxurious Volume Root Booster Blow Dry Lotion makes this happen thanks to a special root-lifting polymer complex that helps thicken up the strands close to the scalp. I&apos;m a huge fan of its applicator, as the nozzle makes it super-easy to target the product exactly where you need it. Again, it&apos;s best to use this product on damp, towel-dried hair. 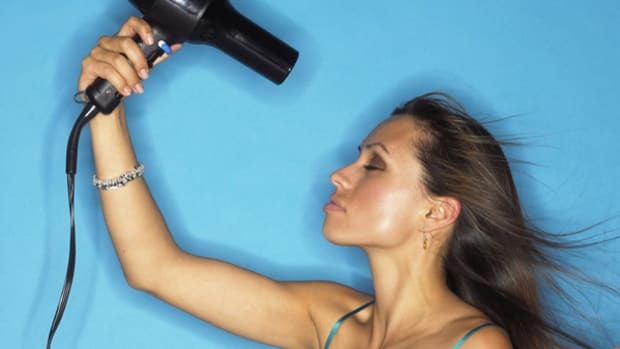 Make sure you lock in its lifting action by blow-drying your roots away from the scalp (I usually do this upside-down). The final step for any style is a touch of hairspray to help it hold all day long. Even though John Frieda® Luxurious Volume All-Day Hold Hairspray dispenses an ultra-fine spray, it&apos;s actually pretty powerful! 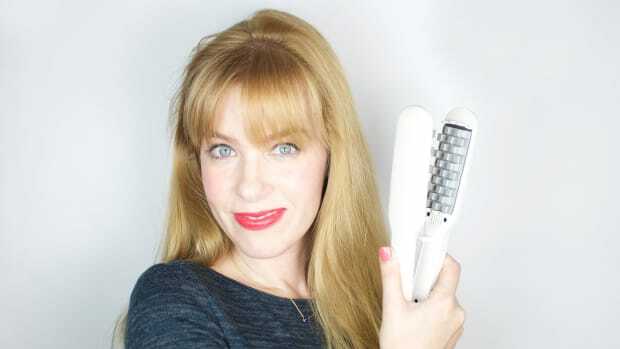 It works fast to give instant control to my styles and tames down any little flyaways. 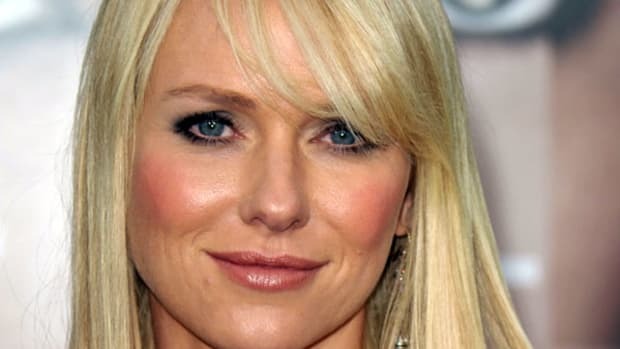 The trick with hairspray is to hold it a good 10 to 12 inches away from your head so you get a nice light mist going—I swear that&apos;s all you&apos;ll need. However, if you do happen to saturate your hair with too much product, I&apos;ve found this hairspray does brush clean and non-crispy once it dries after a minute or two. Loads better, right? I dried my bangs first, using a round brush, and then flipped my head upside-down to do the rest until it was about 90 percent dry. To finish, I used the round brush again to smooth out the uppermost layers and flip the ends under slightly. Then a little hairspray around the part to hold it there. Considering where I was coming from, and the fact that I didn&apos;t need to do anything crazy with heat tools (just a blow-dryer) or backcombing... this is a lot of lift! Before and after styling with the John Frieda® Luxurious Volume range. 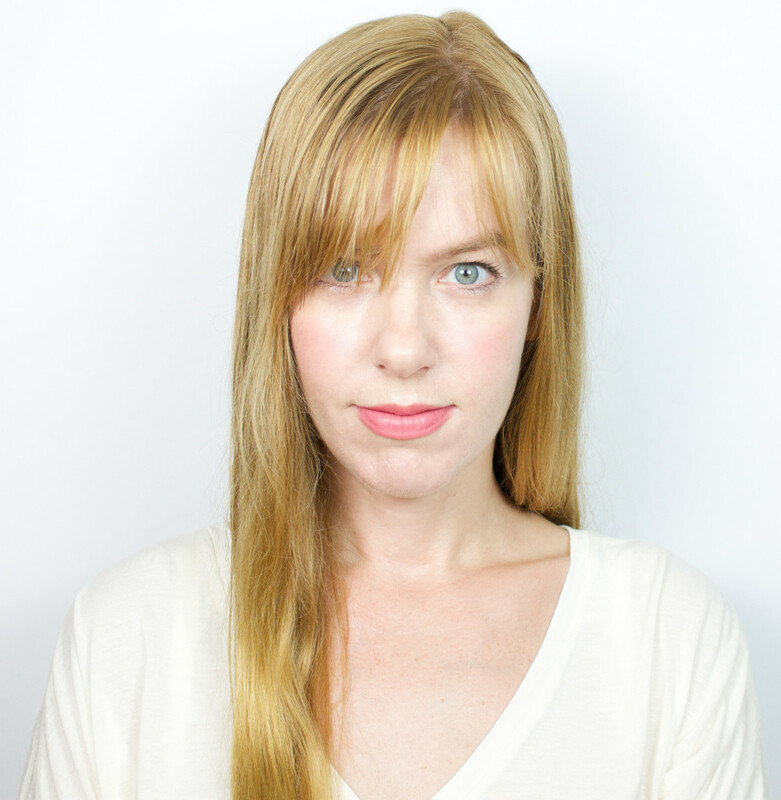 Have you tried layering your styling products to build volume? 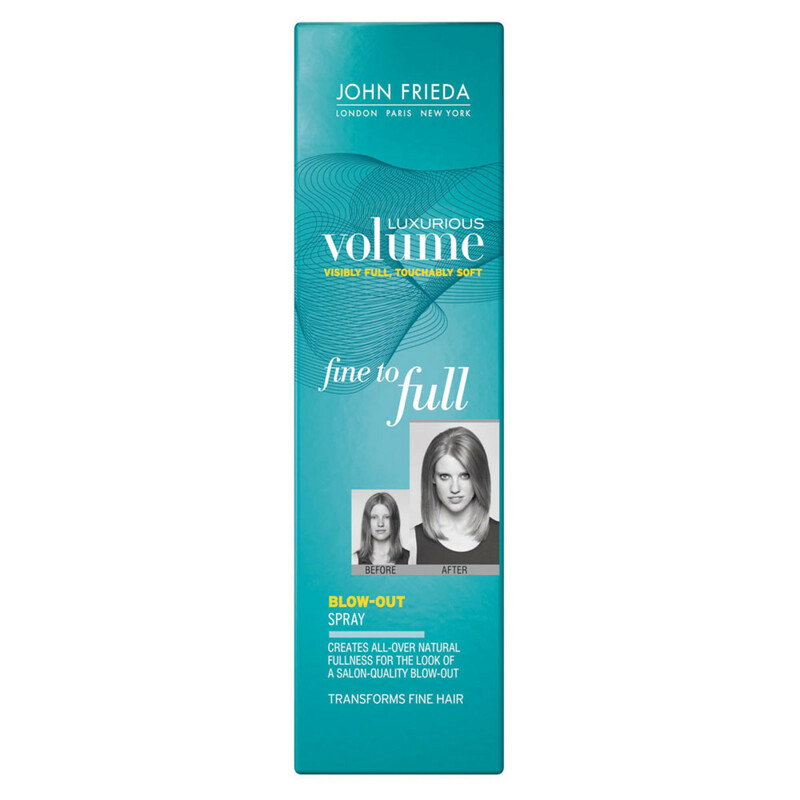 What do you think of John Frieda®&apos;s Luxurious Volume stylers for fine hair?